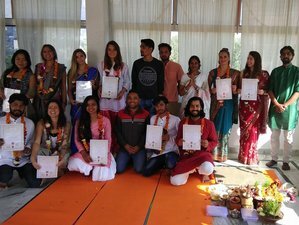 Rishikesh Yog Sansthan, Registered Yoga School with Yoga Alliance USA offers 100 Hours Traditional Hatha, Ashtanga Yoga Teacher Training in Rishikesh, India. This course is convenient for those students who have an intention to complete 200 hours course in two divisions. The chief objective for 100 hours yoga teacher training is to create awareness of yoga and help you to find joy in your practice at a pace that is convenient for you. Goal: The learner can experience the transformation. A person can witness the most beautiful part of life by making the different view of normal life. Please book your flight to arrive at Dehradun Airport (DED).